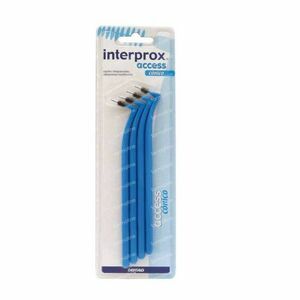 Interprox Access Interdental Brush Conical Blue 4 pieces order online. 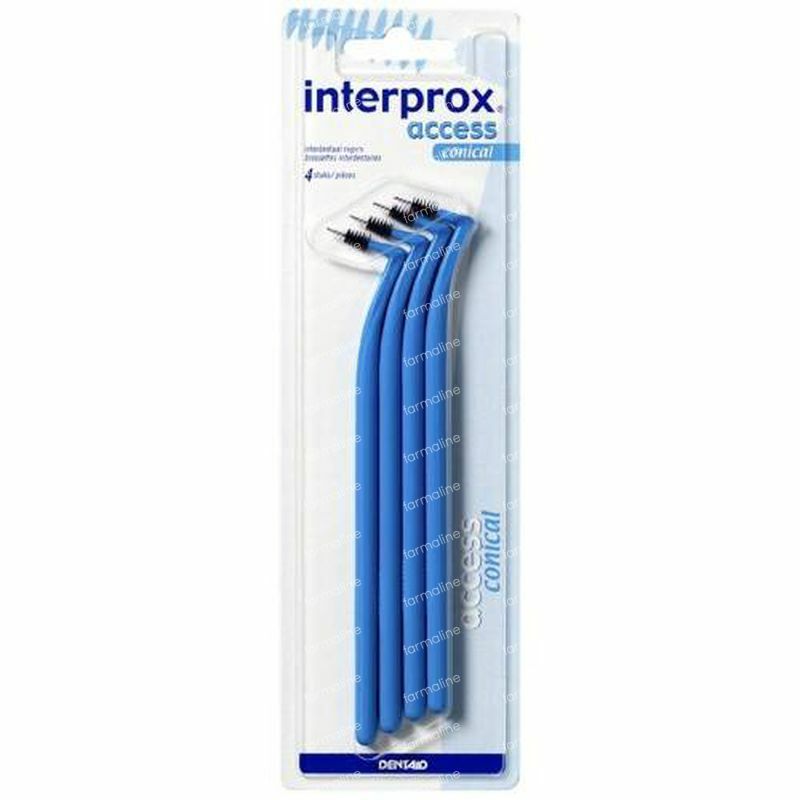 Interprox® Access Conical is designed to remove oral biofilm (bacterial plaque) build-up from 1.3 mm* interproximal spaces, particularly in the molar area. 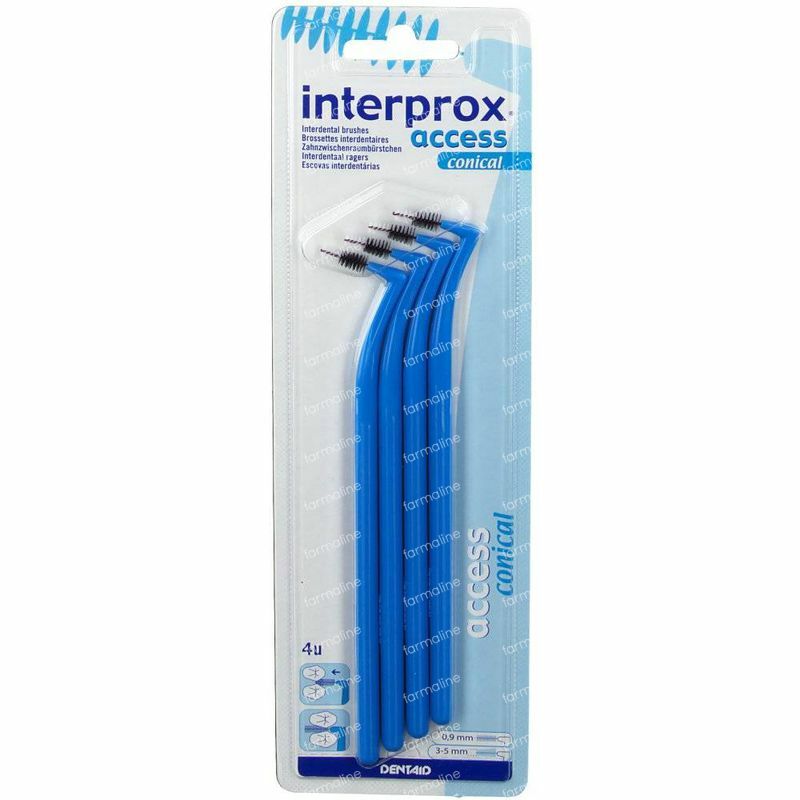 Its elongated handle provides easy access to interproximal spaces between molars and premolars and ensures deep cleaning of interdental spaces of at least 1.3 mm* in depth (PHD*=1.3). 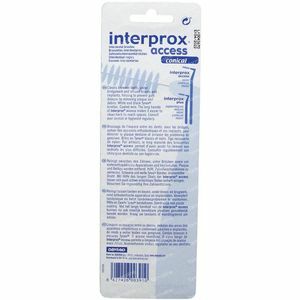 It also facilitates interproximal cleaning for people who are responsible for the oral hygiene of others. Interprox® Access Conical effectively cleans interproximal spaces and helps to protect teeth from caries and periodontal disease. 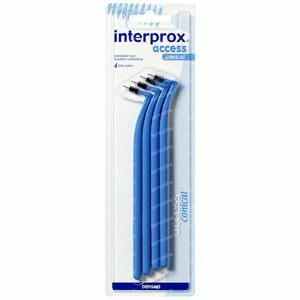 Interprox® Access Conical meets the ISO 16409 standard (international standard for interdental brushes). 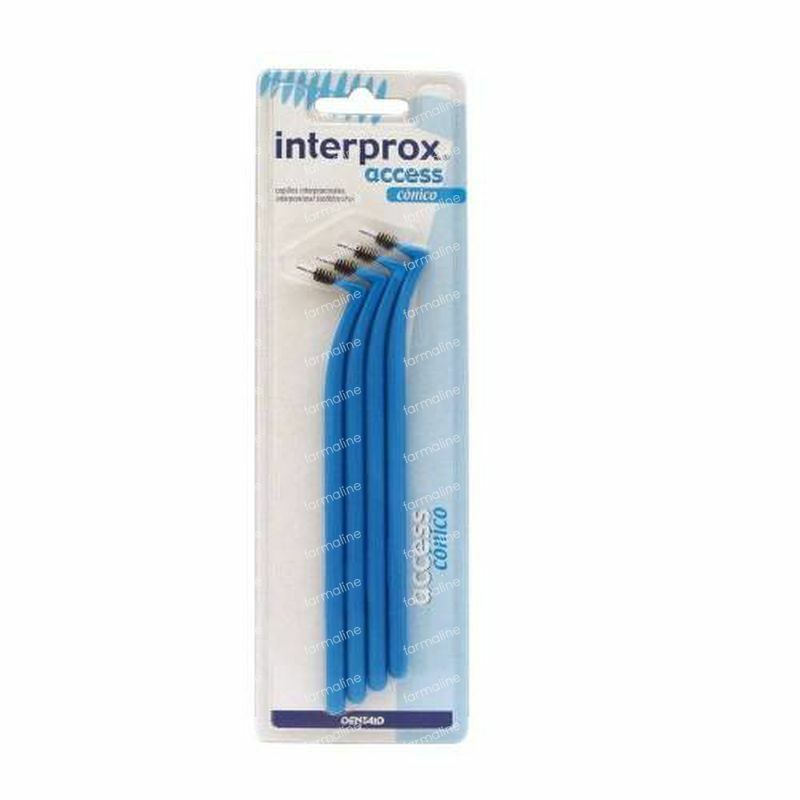 * PHD: Passage Hole Diameter (the smallest interdental space into which an interproximal brush can be inserted). Interprox® Access Conical is indicated for people with 1.3 mm* interdental spaces. 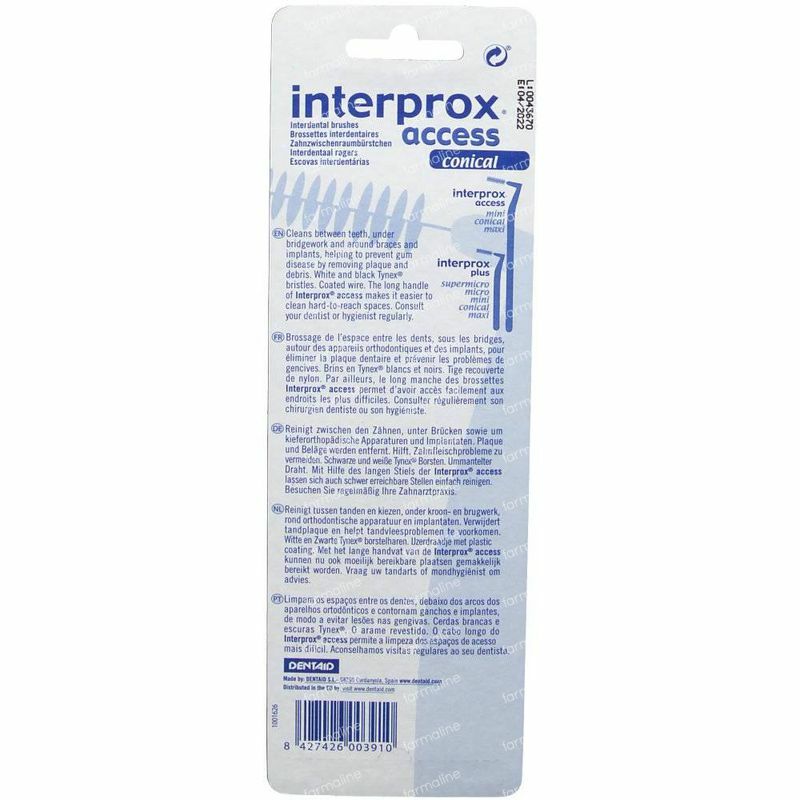 It is also indicated for people with orthodontics, implants and fixed prostheses.